The Museo de los Pintores Oaxaqueños in coordination with Lourdes Sosa Gallery, Black Coffee Gallery Foundation and private collectors of the artist Rafael Coronel present the exhibition Retrofutura II. 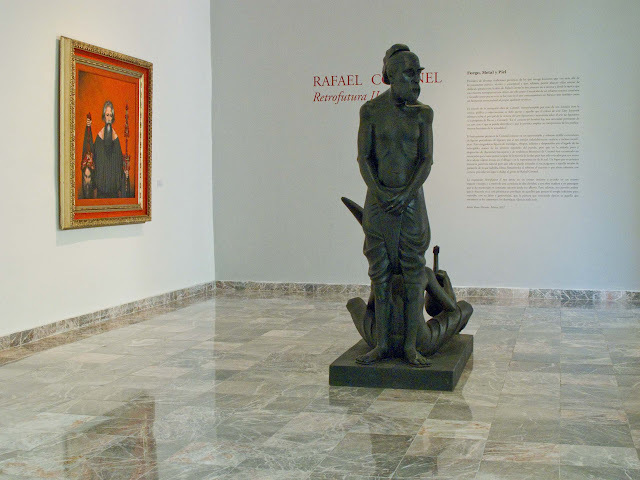 The 43 pieces in the exhibition, including oils, acrylics and bronze sculptures, which were previously displayed in the tribute exhibition on the occasion of his 80th birthday by the Palace Museum of Fine Arts in Mexico City. 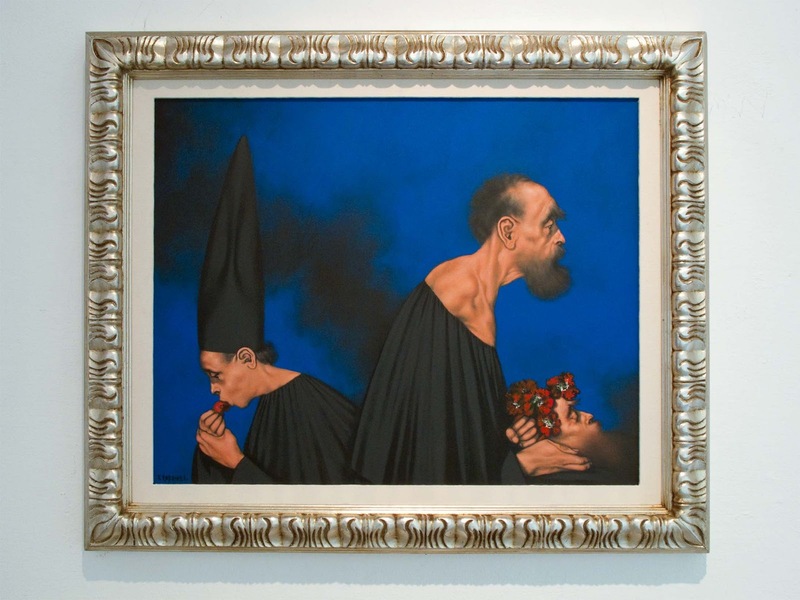 Rafael Coronel was born in 1931 in Zacatecas and is younger brother of the painter and sculptor Pedro Coronel and son-in-law of Diego Rivera (1886-1957). 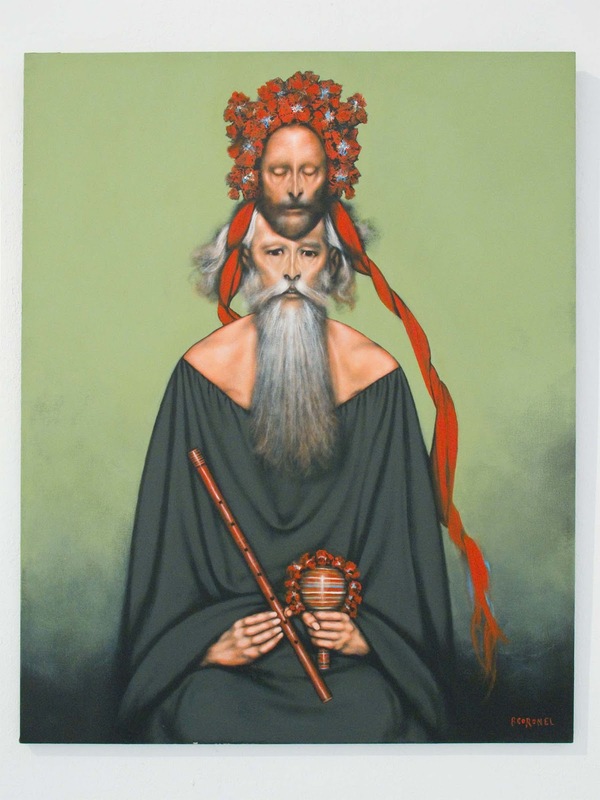 He well represents the Ruptura (Rupture) movement in Mexico, also known as Nueva Presencia (New Presence). The movement consisted of a shift away from heroic Muralism toward a more traditional way of art. Coronel created paintings that lacked the forceful social statements of the Muralists' works. Coronel's paintings are ambiguous and suggest that man's efforts to control his destiny are futile. His paintings of old men and women, isolated and floating in nebulous space, have a melancholic sobriety, and include faces from the past great masters, often floating in a diffuse haze. 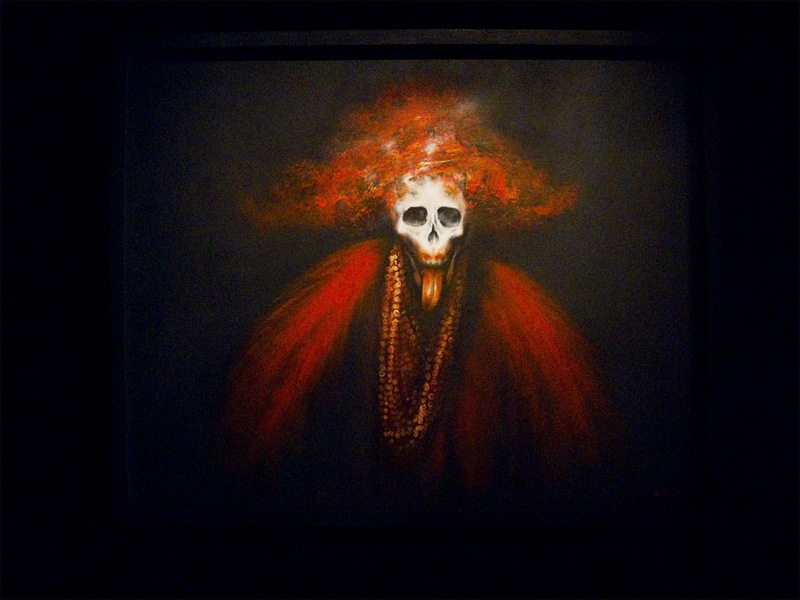 His paintings contain echoes of Goya and José Clemente Orozco and achieve dramatic effects through a skilful use of chiaroscuro (an Italian term which literally means light-dark) and tenebrist effects (from the Italian word "tenebroso" meaning dark describes a style of painting characterized by deep shadows and distinct contrast between light and dark). The psychology of the characters is captured with accuracy, and their appearance is carefully depicted, but the background in which they appear imbues them with an air of timelessness. 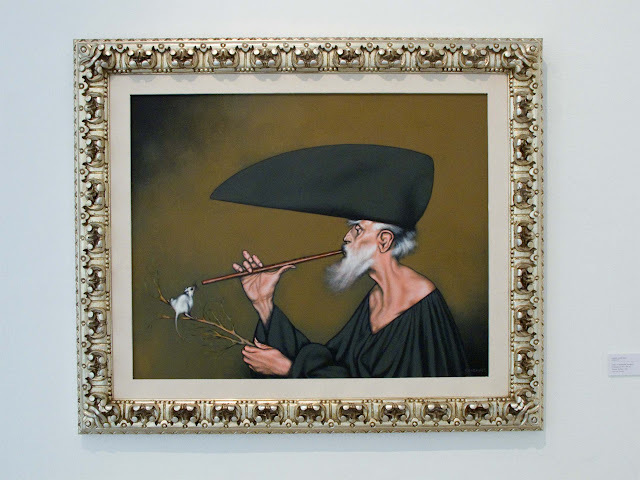 The vocation of being a painter was something hereditary for Rafael. His grandfather used to decorate churches. When his father told him that pedro, his brother, was studying to become a painter in Mexico city, he though it was one of the greatest wastes of time, because painters got no money from painting, even the greatest painters in Mexico had to appeal to other jobs. When Rafael went to Mexico City he wanted to be a soccer player but after he arrived he became interested in architecture. In 1952 he won a scholarship in a painting contest with a work done with crayons. He has also assembled in Zacatecas, in the restored convent of San Francisco, an important collection of masks from all over Mexico. He has lived in the city of Cuernavaca since 1981. For more pictures from the exhibition please visit my picasa web album. Your photos may have been challenging to take, but they are wonderful. Great photos and great text. Thanks. I just got back from a culinary tour of Turkey. I'll e-mail you about that.